The finest in natural art fossil fish and stone products. The medium is fossil-rich calcium carbonate shale from our private quarry in Southwestern Wyoming. 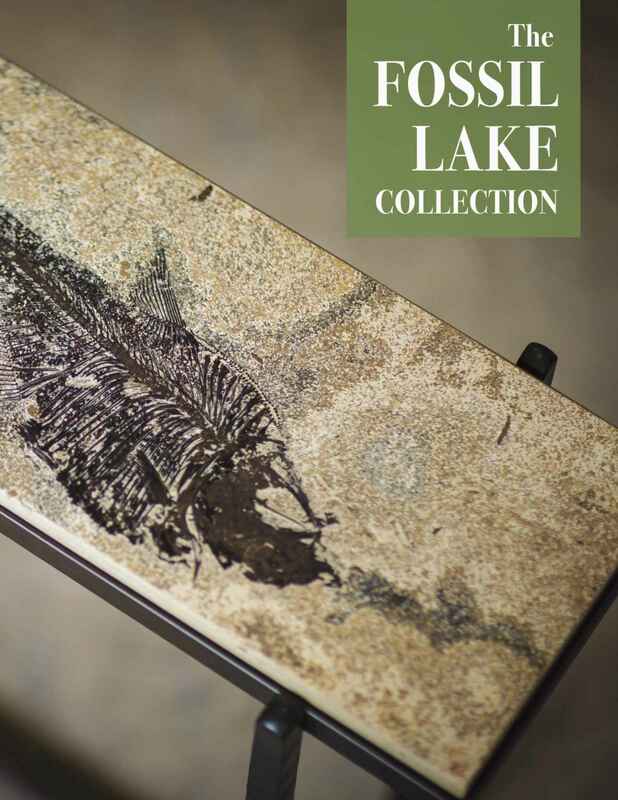 From this stone, deposited 50 million years ago as sediment in a large freshwater lake, we produce individual fossil specimens, artistic fossil murals, and other stone products for museums, private collectors, interior designers and architects. Natural Fossil Preparation is the technique used to produce our famous fossil murals in relief. All fossil fish are collected and prepared in adherence to strict guidelines established by the American Association of Paleontological Suppliers Code of Ethics, State and Federal Laws. Natural fossil preparation incorporates the use of small hand tools; air chisels, sandblasters, and picks to remove thin layers of stone that cover the fossil. Our artisans have perfected this craft over many years. The result of their labor is a highly detailed finished fossil, where the backbone, ribs, and skull, are raised in shallow relief. The stone and fossils show wonderful texture and color.